Matchmaking isn’t part of the mission at South Jersey Catholic Schools, but for many couples the connection is destiny. 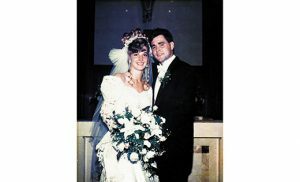 Take Anne and Tom Heim, who met at Gloucester Catholic High School when Anne was just 14. Married more than 48 years and parents to four Gloucester Catholic Rams, the Heims have been a couple since 1965, after Anne’s freshman year at Chestnut Hill College. 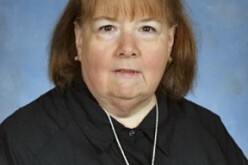 Their connection to Gloucester Catholic, where Anne has been teaching math since 1985, remains strong. Newlyweds Jake and Jordan (Justice) Yates saw their friendship morph to romance during Jordan’s senior and Jake’s junior year, also at Gloucester Catholic. Married in 2016, the Yates believe their shared Catholic school experience helps their relationship. 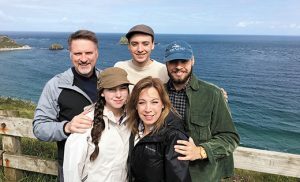 “We both believe our faith and going to church are important parts of our life, and having those important values individually helps us to grow and support each other,” said Jordan. The Yates are not the only couple to equate their Catholic school values with a rewarding marriage and family life. 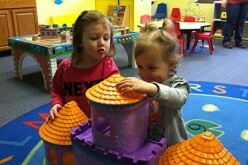 “We love the combination of faith and service that is so core to Catholic schools. We try to live that in our home. We pray as a family, attend Mass as a family, and volunteer our time as a family,” said Nicole Lenhardt. 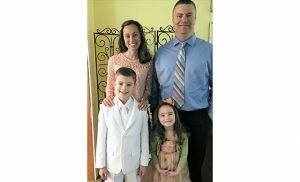 Married in 2005 to her Holy Spirit High School, Absecon, sweetheart Matt, Nicole added, “Matt [agreed] it would be worth whatever sacrifices were necessary to give our children the same blessing our parents had given to us.” The Lenhardt’s children attend Saint Mary Regional School in Williamstown. Friends first, Kristen (Schroeder) and Don Brogan became a couple on their first date, the Paul VI, Haddonfield, junior prom. They married nearly 10 years later and have continued the Catholic school tradition with their three children. 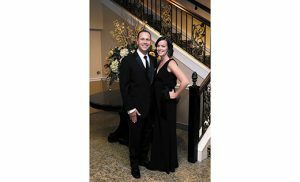 Rene (Miles) Scocca said the connection was instant when she met her husband Danny as a Saint Joseph High School, Hammonton, freshman. They became a couple in her junior year and married in 1994, six years after her graduation. Like the Brogans, Rene knows the value of a supportive community. Danny died suddenly in 2012, leaving Rene to raise their two daughters. “My family, friends and faith have given me the support and strength I need each and every day to continue raising my daughters in the Catholic faith,” said Rene. The girls are following in the footsteps of their proud alum parents at Saint Joe’s. 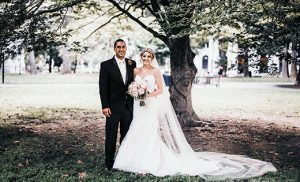 Kate Madden (’98) found true love at – and in – her alma mater, Camden Catholic High School, Cherry Hill. Director of marketing and communications for the school, Kate and fellow alum Tim Beig (‘97) married in December 2005. “The moral compass instilled in us at CCHS has helped to guide us successfully through high school, college, careers and civic and charity work,” said Kate. With Tim on the Athletic and Hall of Fame committees, the Biegs still see each other in the halls of Camden Catholic. “Our alma mater has been the gift that continues giving to our family,” said Kate. Paul VI President Michael Chambers is married to fellow alum, Colleen Keefe. Four years apart, the Chambers met after high school but are confident the end result would have been the same if they had met while at Paul VI. “It was love at first sight,” they agreed. 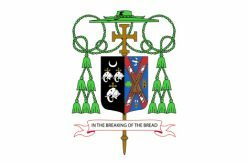 The Chambers’ commitment to Catholic education transcends their experience as students and parents. “We believe in Catholic education so much that it is both of our vocations,” said Mike. Colleen teaches at Saint Margaret’s, Woodbury Heights, where the Chambers’ four children are enrolled. At the heart of reflection for each couple is gratitude. “Our parents deserve thanks for providing us a Catholic school education … an excellent learning environment where we were able to make many great friends,” said BJ Orzechowski. Among those great friends was his future wife, Allyson, with whom he graduated from Paul VI in 1990. By then, they had been a couple for three years. “Our Catholic school education provided us a start for a great life together,” said BJ.